There’s something distinctly different about the intersection of South Highway 160 at Homestead Road, as of late. 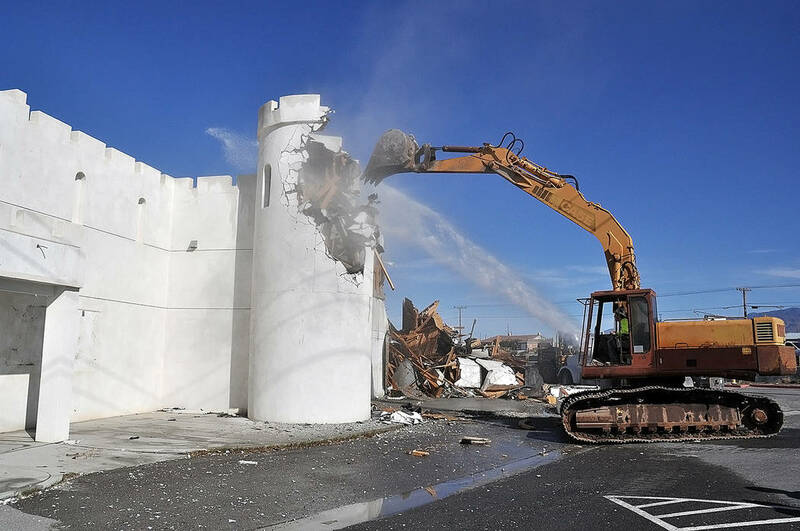 Horace Langford Jr./Pahrump Valley Times The bucket of an excavator takes down a raised section of the castle-themed Kingdom Gentlemen's Club at Homestead Road and Highway 160 on Friday March 15. After opening back in 2004, the establishment closed its doors roughly 10 years later. 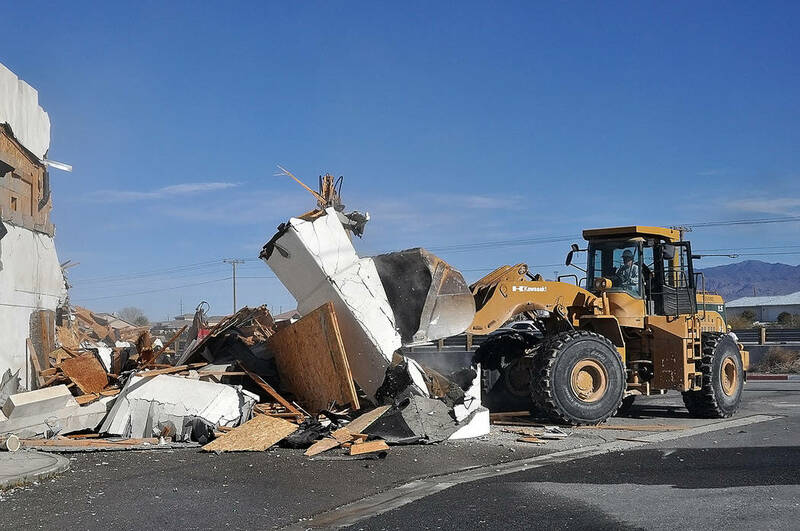 Horace Langford Jr./Pahrump Valley Times A bulldozer clears strewn debris from the former Kingdom Gentlemen's Club. Pahrump's Full-Throttle Excavation company was tasked with leveling the structure. At least a dozen area residents took time to watch and take photos of the Kingdom coming down. 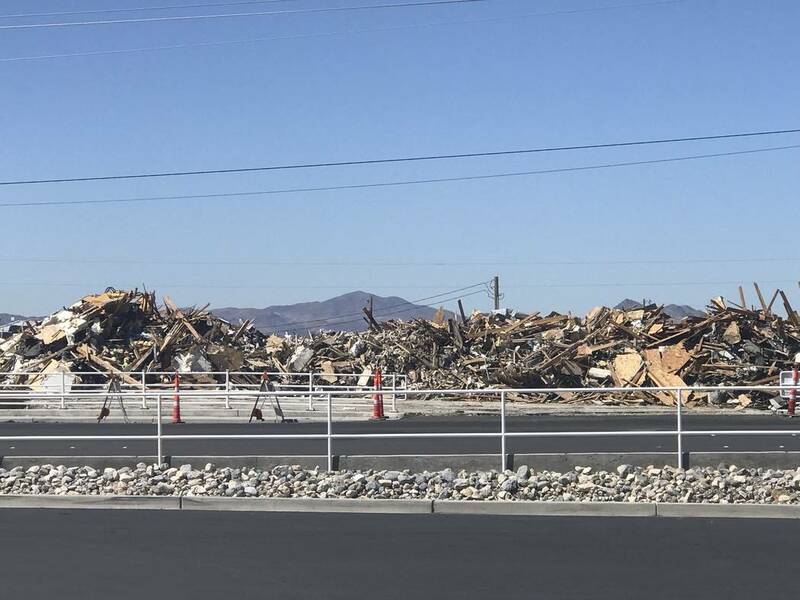 Jeffrey Meehan/Pahrump Valley Times A castle-style building that once housed the Kingdom Gentlemen's Club was reduced to rubble in March. Owners of the site at 2310 S. Highway 160 plan to redevelop the property in the future. On Friday, March 15, the old Kingdom Gentlemen’s Club was leveled to make way for a yet-to-be-revealed project. The castle-themed building has been a fixture at the intersection since 2004. Danny Murphy of Pahrump’s Full-Throttle Excavation said the project went very smoothly, once it got underway. Among the heavy equipment used to take down the building were an excavator, a front loader and bulldozer. Murphy originally had plans to begin the demolition on Wednesday of last week but was forced to postpone it due to weather concerns. Prior to leveling the structure, Murphy said efforts were made to salvage some items inside the building. Murphy also said some of his crew members salvaged a few items. Before the demolition project even began, Murphy noted that a few local residents also wanted a few items, at great risk. Additionally, Murphy said some individuals got a bit creative as they sought items at the demolition site. 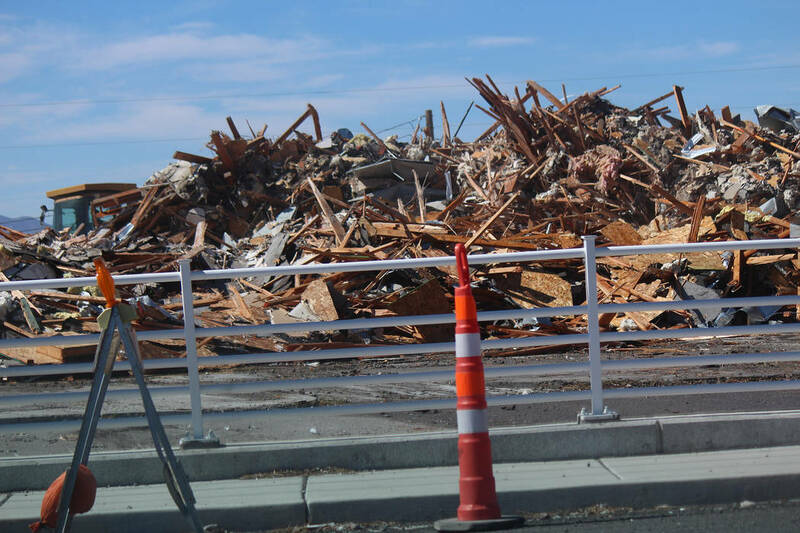 This week, Murphy noted, crews will begin the task of clearing all of the debris from the site. Regarding his personal thoughts on the establishment, Murphy didn’t appear to have a very strong opinion. After closing its doors in 2014, the site was purchased the following year by a Utah company.